A crossover SUV brings together a lot of beneficial aspects inspired from many other styles of cars. And choosing the right one will allow you to find a vehicle that crosses all the boxes when it comes to your specific needs. We wanted to take a closer look at two that sit near the top of their class with our Honda HR-V vs. Mazda CX-3 comparison. Both offer solid engine performance, great fuel economy, and AWD options for superior handling. But to see where they diverge from each other, our team at Norm Reeves Honda Superstore Cerritos explored the other facets of these new cars to let our drivers in Cerritos, Downey, and Long Beach determine the right one for them. In a crossover, it is handy to be able to use it as if it were a fully functional SUV. The Honda HR-V didn’t abandon this thought when designing the space inside this vehicle. 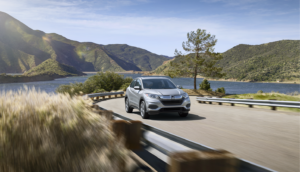 If you’re going to have passengers in your vehicle or need plenty of room for equipment and other items you’ll be traveling with, then this Honda will fit that bill. 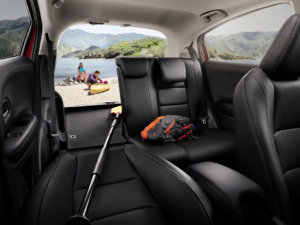 Ample cargo space in the HR-V of 24.3 cu. ft. or 58.8 cu. ft. with the seats down will make packing up before hitting the road easy. Compared to the CX-3’s 12.4 cu. ft. or 44.5 cu. ft. when the seats are folded, it will limit what you can bring along. Or if you fill up your car with passengers instead, they will also have more than enough room to enjoy the ride in the 2019 Honda HR-V vs. Mazda CX-3. Passenger volume inside the Honda is 100.1 cu. ft. Meanwhile, the 2019 CX-3 just has 87.6 cu. ft. of passenger volume. Whoever does come along for the ride, they will have 38.3 inches of headroom in the back with legroom stretching out 39.3 inches. The Mazda has a little more of a tight squeeze with only 37.2 inches of headroom and 35.0 inches of legroom for its rear seats. Both crossovers are sculptured with exterior lines that point you forward toward your next adventure. But a few new features give the 2019 Honda HR-V an edge when it comes to the outside of the car. The standard brake lights across all trim levels of this Honda are LED, which provides an energy-saving measure. You can also get fog lights in the majority of the 2019 HR-V’s trims, for when enhanced visibility is called upon. In the Mazda CX-3, neither of these features are offered in most trims. Another great feature that comes standard in the EX-L Navi trim of the Honda is the roof rails. This gives you the capability to attach your ski and snowboard racks or bike mounts on top of your car. Once you take a look at the standard and available features across all the trim levels of the 2019 Honda HR-V vs. 2019 Mazda CX-3, you’ll get a little closer to deciding which crossover SUV you want to buy. 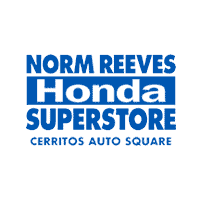 And after the research is complete, you can set up a test drive with us at Norm Reeves Honda Superstore Cerritos. We can show you why the Honda HR-V is a practical choice for our friends in Cerritos, Downey, and Long Beach!